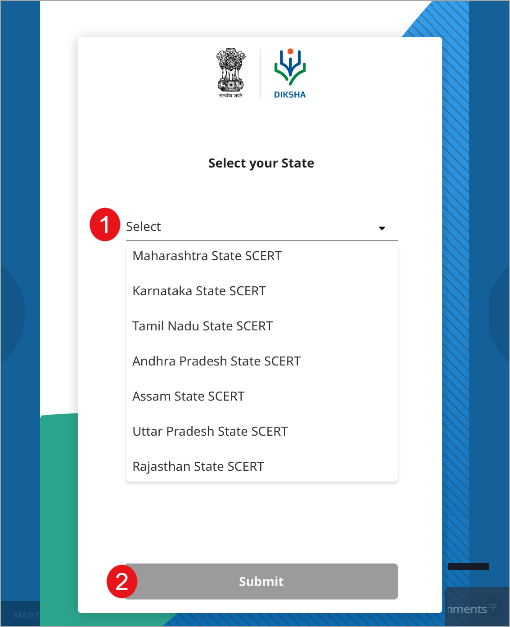 Any organization, recognized education or learning body or individual users can sign in on the portal. 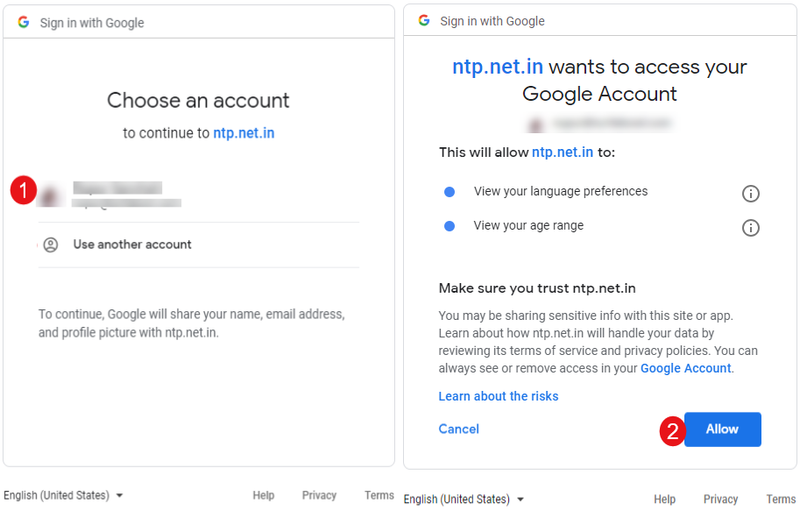 Successful sign in on the portal is notified to the user via an auto-generated email. The Sign In feature allows authorized users to access content. 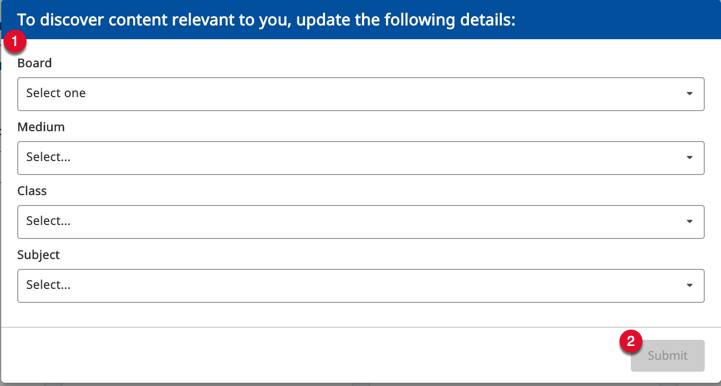 Using this feature, it is possible to differentiate content for different user types. For example, anonymous or guest users can view only limited number of courses and resources, while registered users have access to all content available in the Library. 4. 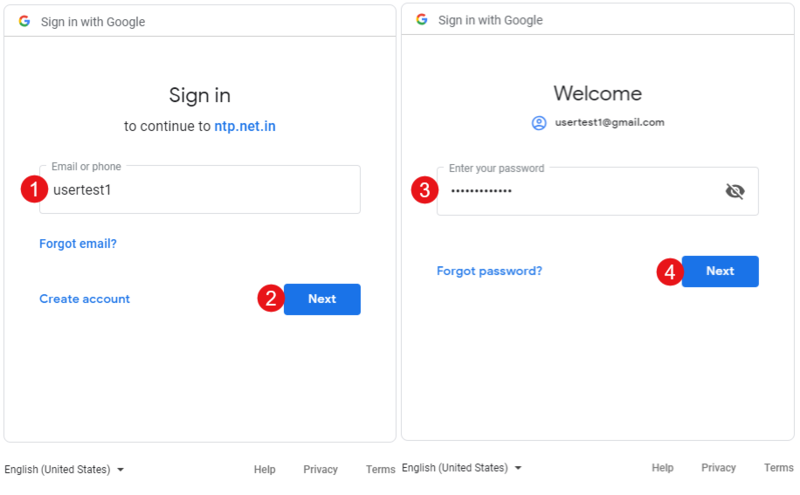 If you have forgotten your password, click Forgot? On successfully logging in a pop-up window is displayed. 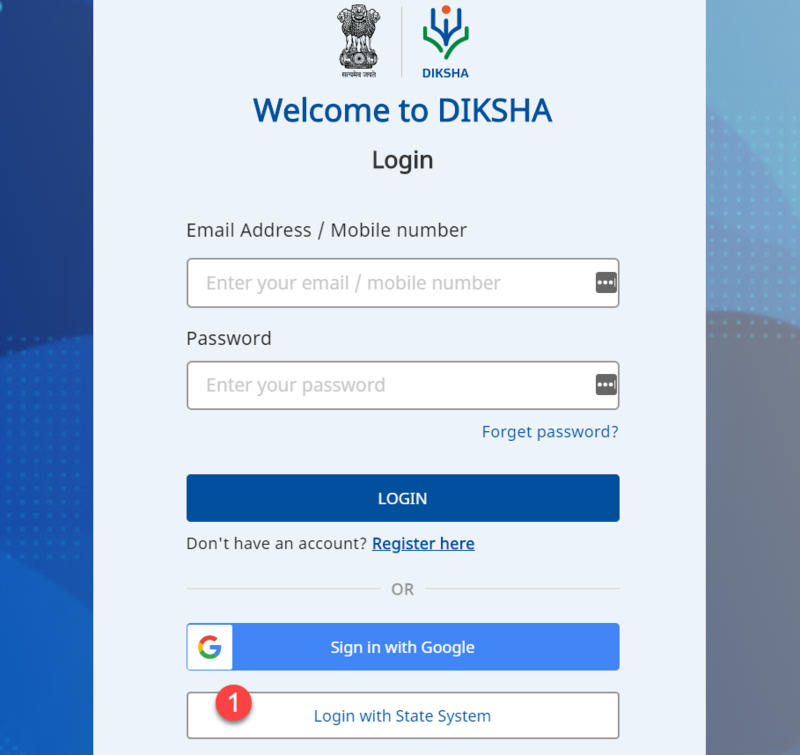 Users can now sign in on DIKSHA portal with their Google account credentials. 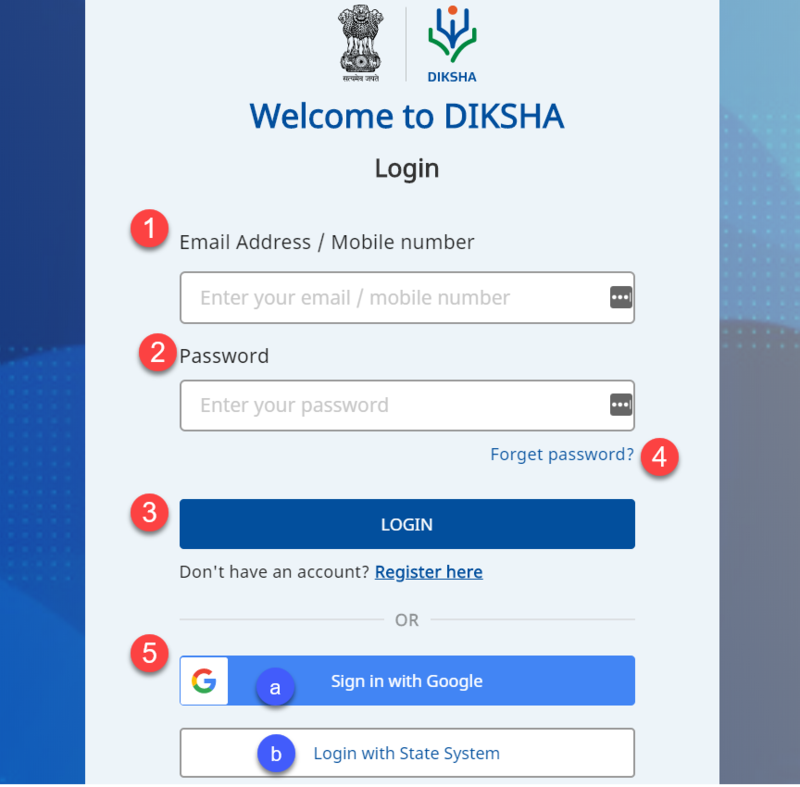 You can sign in on DIKSHA portal with your State account credentials. 2. Click Submit. You are redirected to the home page of the respective state website. 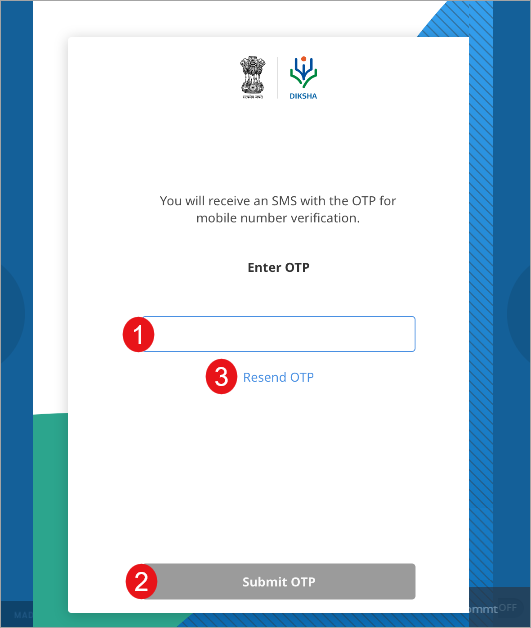 Login with valid credentials provided by the state. 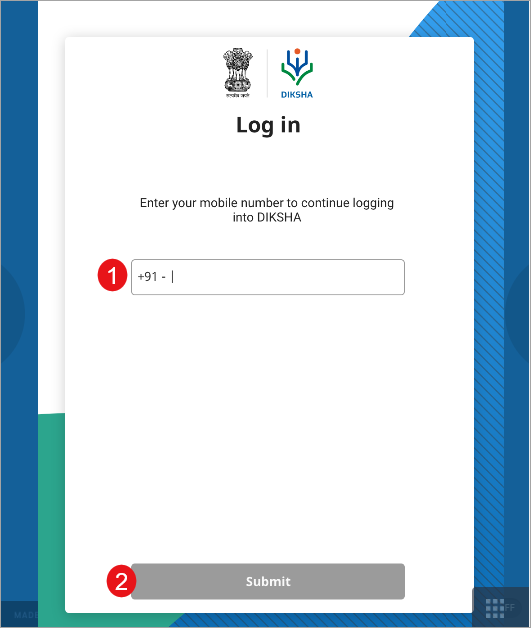 On successful login you are redirected to DIKSHA website as a logged in user.